Despite its occasional eccentricities, I rather liked the original Blood Bowl computer game. The races all had their own characteristics, so every game had different challenges, and the sense of humour and style fitted the world of the ultra-violent American Football game. Best yet, it brought back memories of playing the board game on which it's based. Legendary Edition adds 11 new races to the game, plus new pitches, rules and a Story mode, so I got myself a copy a few weeks ago. One of the biggest novelties of BB:LE is the new Story mode, so that’s where I started. It’s a bit of a disappointment, though, as it hangs together a few random games with some Blood Bowl back-story. The story is delivered in a few screens of text, rather than via the fun videos that lifted the original game, and while it raised a chuckle every now and then, the overall result wasn't that impressive. The Story mode basically seems to be a quick way to get some familiarity with the many races of BB:LE. It forces you to participate in a match between two races, with you choosing which of the two to control. However, my Story game crashed after two games, and as I already knew everything about the original nine races, I just played a few exhibition matches with the new races to get a feel for them. Some of the new races seem arbitrarily different, rather than genuinely distinct, though. 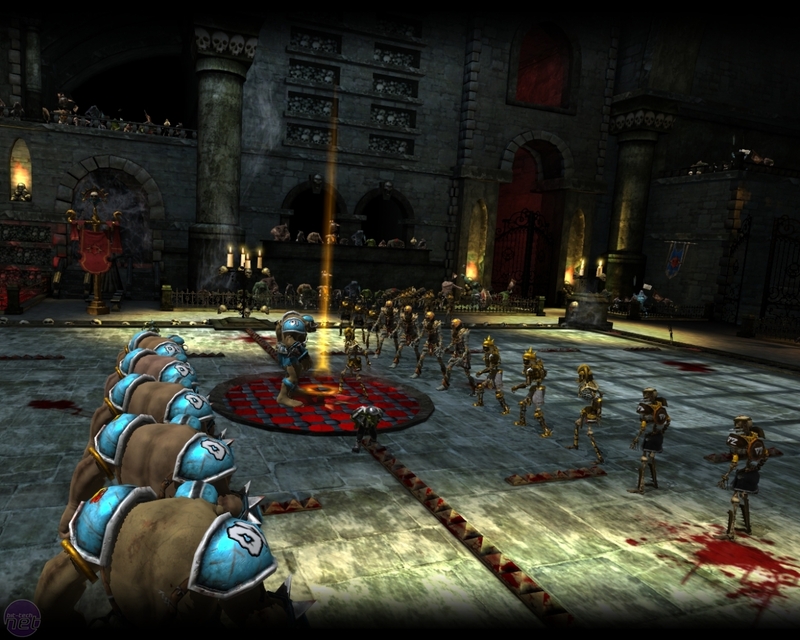 There’s little difference between the Necromantic and the Undead, for example, as only a few player-types are different. I tried the Nurgle too, but quickly became bored with the team’s ploddiness, while the Vampire and Ogre races both comprise two types of player, so held little appeal. In the end, I settled for my trusty Orcs, as this race has a great blend of power and speed. However, this is what’s great about BB:LE – the teams play so differently that there’s something for everyone. 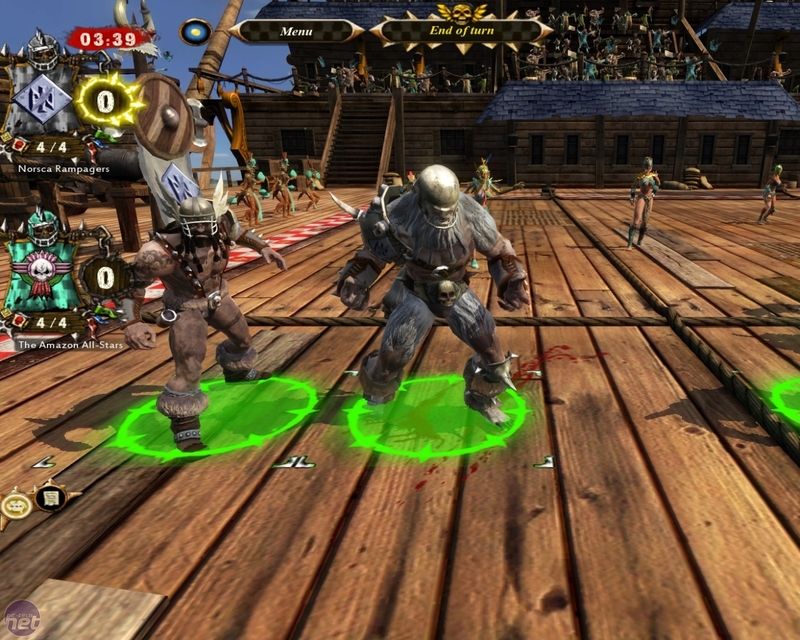 Having had a great team in the original game, I'd forgotten that I really do need a Goblin for speedy bursts into the End-Zone, though, and that Black Orcs need to be powered up with Block and Mighty Blow to be truly formidable. Perhaps that would’ve been a better place to spend my cash than a lumbering Troll. This is the beauty of the game – it requires plenty of thought, both in terms of actions in the game and how you build your team. Some of the annoyances of the original game are still present, though, which I suspect is partly down to the original board game’s rules. I still don’t understand why a team should receive subsidies to spend on pre-match perks if the opposition team has a higher value, for example. Also, I still can’t get my head round the real-time nature of the game. Yep, that’s right, I play BB:LE as a turn-based strategy game. But it’s still a fun game that challenging and addictive. I’ve tried Dark Elves, but found them toothless (what’s the point of the Witch Elf?) while I found Dwarves horrendously slow and dull. However, I'd be interested in your thoughts on this as well. If you’ve played Blood Bowl or BB:LE, which players do you use, and why?